Just like human beings, there are plenty of dogs who suffer from stress and anxiety. Obviously, this is not a pleasant thing to see in your pooch, and you want to help them out in any way you can. There are plenty of techniques that you can use including soothing them with exercise and providing mental stimulation. Another option is to look for the different calming tablets for dogs that are available to help treat their conditions, which many dog owners testify to be highly effective. This blog post is going to focus on some of the best medication for anxiety on the market, helping you to make your mind up. One of the most important points to consider when it comes to the best medicine for anxiety is that they are made with natural and/or organic ingredients. 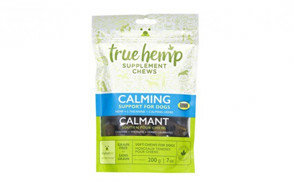 This is the case with these treats, which are designed to offer a calming effect. Flavored with delicious chicken that dogs love, each treat contains 30mg of Suntheanine to promote relaxation. Other substances include Thiamine and Organic Chamomile, which help to reduce problem behavior such as barking, biting, and jumping up. You can use them to calm your dog during the most stressful of situations including during storms and car journeys. All-natural ingredients are used in these calming treats for dogs. The duck-flavored chews are enjoyed by many different types of pooch, which features organic chamomile as one of the main ingredients. Whether you have an overly nervous or a hyperactive dog, these treats can prove to be very useful in calming your mutt. Obviously, you want to take care of what is going into your dog’s body, and these treats do not contain any added fillers like soy, dairy, corn, artificial colors or ingredients. If you are not entirely satisfied, there is a money-back guarantee which you can take advantage of. These chews are available in three different flavors, so you can choose the one which is best-suited to your furry friend. 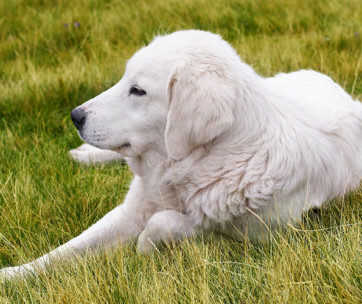 The formula includes colostrum, l-theanine and thiamine, which are substances that have been shown to promote calm behavior and relaxation in dogs. Whether you want to give this dog anxiety treatment on a daily basis or just in certain situations, you have the option of doing either. They get to work within 30 minutes but the effects can last as long as four hours, which should help your dog get through a stressful episode. 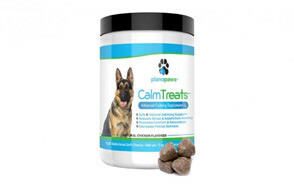 A safe and natural calming supplement, these treats help to relieve your dog’s feelings of anxiety. You don’t have to worry about any corn, soy, wheat, or grain, and the formula is suitable for dogs of all shapes and sizes. The treats are designed to reduce stress, increase comfort, and improve relaxation. In turn, this helps to reduce problem behavior in dogs such as hyperactivity, motion sickness, aggressive or destructive tendencies. Another product which is designed to manage stress, tension, and anxiety, this calming supplement is suitable for a range of high-stress situations including trips to the vet and firework displays. The melatonin within the supplements is known to promote rest and relaxation. It will get to work within 30 minutes, allowing you to time it to deal with the stressful situation effectively. And if your dog has a sensitive stomach, there is no need to fear as the added ginger will help with this significantly. Next on the list, we have this hemp seed-based product, which is designed to support normal brain and nerve functioning. The mix of calming herbs and l-theanine promote relaxation and help to control your pooch’s emotions, keeping them more balanced. At the same time, there are also some nutritional benefits from the omega-3 fatty acids, which improve your dog’s cognitive functioning. This calming supplement comes in bar format, utilizing ingredients including hemp, chamomile and passion flower to promote calmness. At the same time, there are also physically beneficial substances including antioxidants, and ingredients which are rich in fiber and vitamins. But there are no grains or fillers as these cause digestive issues in some dogs. Everything has been quality-assured in a human food facility. Many dogs simply can’t get enough of peanut butter, so you know that these soft chews are going to be a hit! While some calming medication causes excessive drowsiness in dogs, this one promises to keep your pooch alert, while still experiencing a calm state of mind. The ingredients are all vegan, organic, and healthy. Try to choose a time when your dog is likely to feel especially stressed for the supplements to have their fullest effect. If you are unhappy with the effects, there is a money-back guarantee policy for additional peace of mind. 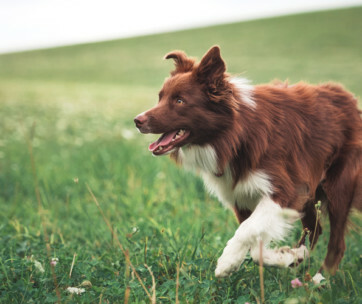 Seeing your dog get anxious is not a pleasant thing to witness, but these calming aids can help with all sorts of issues including separation anxiety, upset stomachs, and shaking. The ingredients are all-natural, and the supplements can be given at times of high stress for your dog and if they are exhibiting problem behavior such as hyperactivity, jumping, and barking. If you are not entirely satisfied, you can apply to get your money back. Finally, we have this highly-rated pack of dog chews which has proven to be highly effective in dealing with stressful situations for pups. Traveling is often one of the most traumatizing times, but these supplements can help to calm their nervousness and barking. You can rest assured that all the ingredients are natural herbal substances. Now that we have given you an overview of all the different calming supplements out there, we can get into the buying guide section. We will start with a list of what you should look out for, before moving onto some of the benefits of anxiety meds for dogs. We will then discuss some signs that your pooch is suffering from anxiety, before delving into the frequently asked questions section and finishing up with a round-up of our number one choice. With so many different calming supplements for dogs available, the choice can feel somewhat overwhelming. To help simplify your decision, we will now look closer at some of main features which you should be on the lookout for. 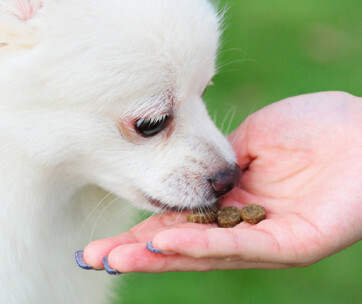 Whenever you are choosing a food substance for your dog or anything that is going in their body, it is important that you check the ingredient list closely. Look for natural and organic substances, which are safe to give to your pooch. It is a bonus if there are no artificial ingredients in the treats. Watch out for products which include filler ingredients such as soya, sugars, and wheat. While these are not necessarily harmful, they are unlikely to be helpful either. Understanding a bit more about the common ingredients will also help you to make your mind up. For example, ginger root is well-known in preventing stomach upset and nausea. Chamomile flower is another ingredient which you see commonly, and this helps to reduce feelings of stress and nervousness. As for passion flower, it is known for its medicinal qualities in keeping your dog calm during particularly stressful events. And then you have l-tryptophan, which supports your dog’s wellbeing in a variety of different ways. If the flavor of the treats is not pleasant, you are going to have a much harder time getting your dog to swallow them, particularly if they are in a state of extreme anxiety. Strong herbal tastes or smells tend to be off-putting. Look for flavors which dogs universally love such as duck, chicken, or pork. Dog anxiety medication comes in different formats including soft chews or liquids which are to be directly administered or mixed in with your dog’s food. Some dogs are perfectly happy eating the soft chews, particularly if they are flavored in a pleasant way. But if you have a fussy eater, it may be easier to mix a liquid with their meal. Depending on the calm supplement you choose, there are different sizes based on the number of capsules included, or how much liquid you get. If you have a larger dog and the medication dosage is based on weight, you will probably want a larger bottle. Similarly, if you plan on giving your dog these supplements on a regular basis, the more economical choice will be to buy more. Check the recommended dose of the supplement so you can get a better idea of how long they are going to last for. It is important to know how quickly the dog anxiety medication are going to get to work. This way, if you know a stressful situation is coming up, you can give a dose to your dog in plenty of time for it to take effect. You should also check how long the effects will last, the correct dosage, and how soon you can give your dog another supplement. Some owners use these products for long-term use, whereas others only use them for specific situations. ‘Made in the USA’ is the kind of stamp of approval which many people look for in products for their dogs. You should also check out any other safety and quality tests which the treats have gone through. This will give you further reassurances that what you are giving to your dog is entirely safe for their consumption. Good brands take a long time to build up their reputation, so it is worth looking closer at the credentials of the company. Do they only specialize in making dog supplements? How many years have they been around for? What sort of customer support system do they offer? These are all questions which are worth asking before making your mind up. Now, we will look in closer detail at some of the main benefits that your pooch will get from taking anxiety pills. After all, you want to know more information about what sort of advantages they can expect to receive from them. Many dog owners get some kind of results from giving their pooch calming supplements. They are designed to alleviate symptoms of stress, anxiety, and nervousness. While there are other solutions which can also prove to be effective such as exercising your pooch, having some supplements is a quick and easy way of putting your pet at ease. There are certain situations which are more likely to elicit feelings of anxiety in your pooch. It could be that you need to leave the house and your dog hates being separated from you. Perhaps there is a thunderstorm outside or your neighbors have decided to have an impromptu firework display. Whatever the reason, it is nice to know that you always have something to calm your dog down when these stressful situations occur. Sometimes, anxiety displays itself as hyperactivity and aggression. Neither of these two qualities is desirable in your dog as they are likely to lead to the destruction of your possessions or you getting hurt. Substances included in these supplements such as thiamine and organic chamomile can be helpful in reducing these negative behaviors. Before you give your dog calming supplements, you need to have a better idea that anxiety is what they are suffering from in the first place. 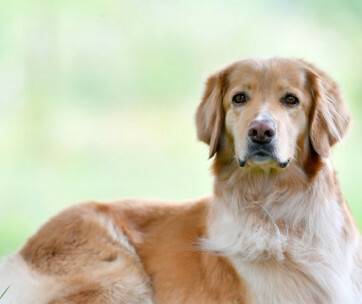 While you may think that it is a rare condition, it is actually fairly common and something that you can spot in dogs if you know what you are looking for. There are several situations when anxiety is commonly seen. Separation anxiety is up there with the most common forms of the condition as many pets hate being separated from their owners. Loud and unexpected noises such as fireworks and thunderstorms can also be times of high anxiety. Social anxiety around unfamiliar dogs or people is also normal. Some dogs are simply more genetically predisposed to anxiety than others. Or it could be a result of past traumas such as an abusive past. Another alternative is that your mutt has a specific fear or phobia. 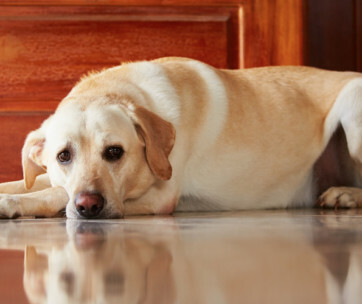 If you want to tell if your dog is suffering from anxiety, here are a few of the most common warning signs to look out for. If you notice that your dog is making more noise than usual, this could be a sign that they are feeling anxious. It could be that there are howling or have started barking excessively. Often, this is brought on by triggers such as loud noises, but if this continues even after you have tried to calm them down, anxiety is a likely cause. Excessive alone time is another typical sign of anxiety, whether this takes the form of hiding away or simply avoiding contact with humans and other animals. Just like humans, many dogs seek solitude as a way of coping with anxiety. While it is perfectly normal if your dog pant after exercise, you should watch out for any signs that they are panting more than usual. Also, if you find them shaking or quivering without any obvious reason, anxiety may be the cause. One of the most obvious signs of anxiety is that your dog suddenly starts exhibiting overly aggressive behavior which is out of character for them. Watch out for growling and sudden snapping as you could find yourself getting hurt. At the other end of the scale to aggression, you have hyperactivity, and some dogs display behavior such as bounding around the house to show that they are feeling anxious. 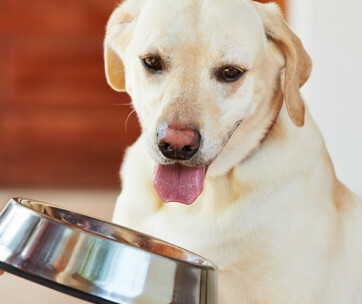 If your dog suddenly loses their appetite or refuses to eat, anxiety may be the cause. Consult with your vet to see if they can give you any more information on the specific causes of the issue to ensure that this is not something which is related to diet or a stomach upset. One of the most severe displays of anxiety is panic attacks, which can last for as little as a few minutes or as long as several hours. Your dog can end up suffering from a range of the above conditions as a result of the panic attack. Q: How long will it take to see results in my dog? A: The amount of time which it takes to see results varies from supplement to supplement, but some promise results in as little as 30 minutes. This is because they are designed to deal with high-stress situations such as car rides or thunderstorms quickly. Generally, you want to see results as soon as possible, so check the different supplements for more information. A: Again, this varies between different anxiety medication, but calming supplements generally work for a period of hours. Some are effective for around four hours, whereas others continue working for 10 hours or more. If you are using them to deal with a specific short-term situation, a shorter-acting pill should be fine. However, some dogs require a more long-lasting solution to their anxiety issues. Q: My dog is afraid of the groomer. Will calm supplements help? A: Calming supplements work in a range of stressful situations, and visits to the groomer is certainly one of them. You just need to make sure that you time it correctly to ensure that the supplements have time to take effect. Q: My dog is really picky and does not like to eat the treats. How do I get them to eat them? A: First off, there are a number of different flavors of treat out there, so you can try different options to find one that they enjoy. If this doesn’t work, there are also flavorless liquids which you can mix in with their food. 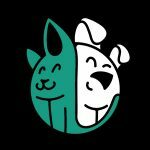 If you still want to give your dog treats, there are a couple of other techniques that you can try. You could mix it in with strong-smelling food, which makes it less likely that they are going to notice it. Also, you could wait for a time when your dog is distracted. Try playing a game with them and mix the supplement in with a handful of their regular treats. If your dog suffers from nervous, anxious, or aggressive behavior, this is our number one pick of supplement which can help out with the issue. The ingredients are all natural and organic, so you don’t have to worry about feeding your pooch artificial substances which can be harmful to their health. These treats are ideal for a range of situations such as trips to the vet, thunderstorms, and public spaces. They can prove to be an invaluable support to dealing with your dog’s anxiety issues.